The challenges that come with running digital ads in emerging countries are different than those in the United States or Europe, where most consumers are using smartphones and are connected to WiFi or 4G anywhere and everywhere. This week Facebook launched a new program, Creative Accelerator, in order to help top worldwide agencies learn about advertising in less developed countries. How does it work? Large companies like Coke or Nestle build ads that work on slow networks in remote locations. They build ads that run no matter what speed or device a consumer is using. The international market is a key growth area for Facebook and of the 1.4 billion monthly users, about 436 million of them are located outside North America, Europe and Asia. However, this area only makes up about 10% of it’s revenue. 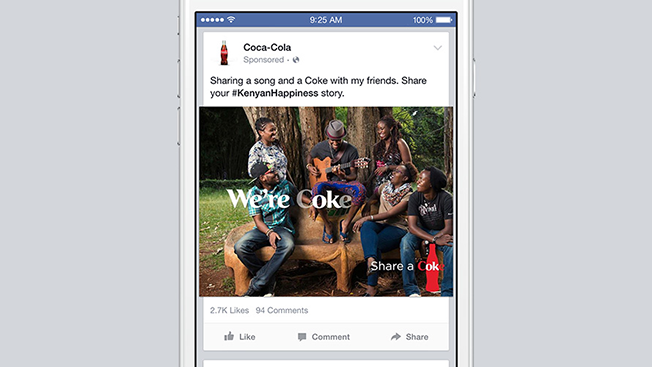 Coke has already seen success with a campaign they ran targeting flip phones in Kenya. The goal was to spread the word about happiness and sharing a Coke. It showed photos of fellow Kenyans drinking Coke and used the hashtag #KenyanHappiness. Learn more about the #KenyanHappiness initative here and discover more about Facebook Creative Accelerator here!